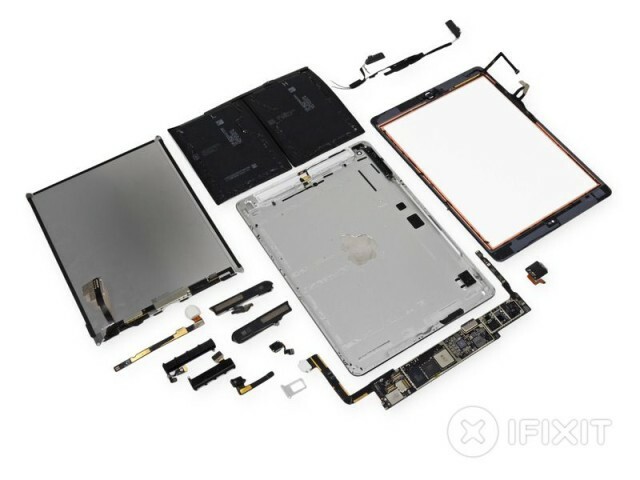 The iPad Air may not have not even been on the shelves for 24 hours yet, but the guys over at iFixit have already performed a tear down on the new iPad Air, revealing all the goodness that powers Apple’s latest addition to the tablet lineup. During the teardown, iFixit came across some interesting surprises whilst dismantling the iPad Air. One of which was that powering the new tablet is indeed the A7 chip as expected but it is a different version than that powering the iPhone 5S. The iPad Air features a APL5698 A7 processor whilst the iPhone 5S has a slightly different APL0698 version. How this actually translates into differences in features or performance is somewhat unclear at the moment, as is the reasoning Apple decided to go this way. In addition, iFixt revealed the huge battery that is coupled with the iPad Air, of which they said is one of the hardest they’ve had to remove. As with most Apple devices, iFixit gave it a repairability score of 2 out of 10 indicating it is incredibly hard to repair. So the iPad Air is pretty similar to the iPhone 5S, bar a few customisations that at the moment remain unclear as to the reasoning behind their differences.